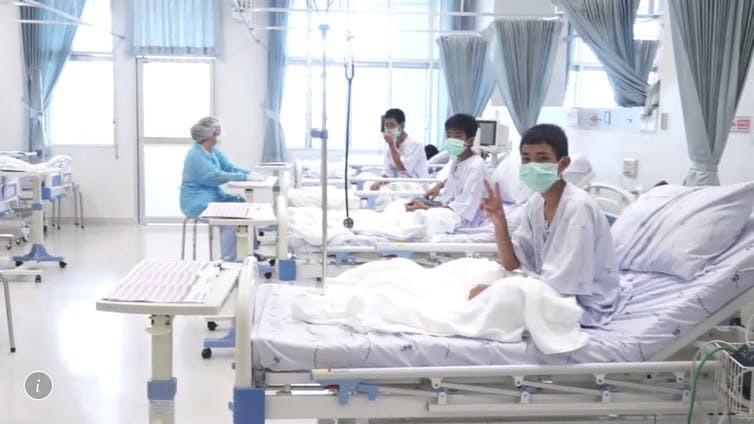 Three of the 12 rescued boys in their hospital beds. Thai rescue teams arrange water pumping system at the entrance to the flooded cave complex. Family members pray in front of a Buddhist statue near the cave where 12 boys and their soccer coach were trapped in northern Thailand.